Stephen Strange’s first outing in the Marvel Cinematic Universe saw him go up against Kaecilius and... well, another villain that in hindsight was quite obvious, but one we’ll avoid openly mentioning just yet. But according to director Scott Derrickson, Strange almost went up against another of his iconic early foes. 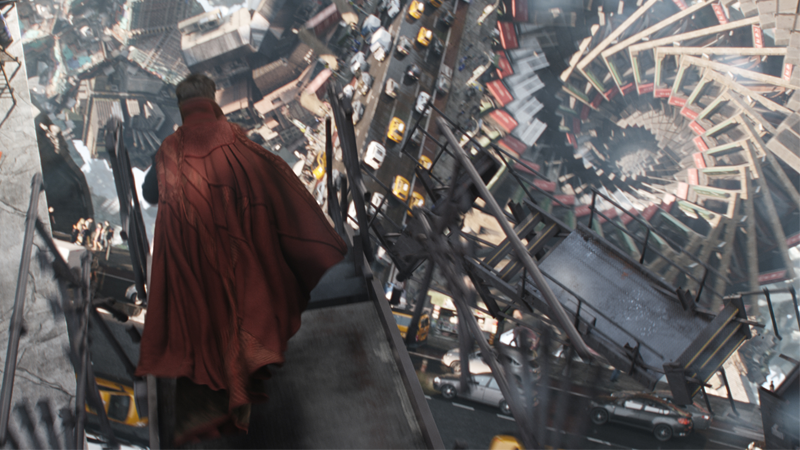 Empire sat down with the director to discuss some of the details about Doctor Strange now that it’s hit theaters, and Derrickson revealed a lot of interesting tidbits—like the fact that the movie takes place over the course of a year, or how the lightning-struck woman mentioned as a potential patient for Strange in the moments before his crash could be a hint to Carol Danvers’ origins in the MCU. But one of the most interesting things Derrickson revealed was that instead of going up against the dread Dormammu, Strange almost faced another one of his comic book foes: Nightmare. Kevin [Feige] made a very cogent case. The trouble with starting with Nightmare is getting across the idea of the Dream Dimension as another dimension. The movie was challenging enough. It’s already an exposition-heavy movie... Dormammu made the most sense. And he is the most present villain in the comics. Nightmare first appears in 1963's Strange Tales #110, when Strange is employed by a man to enter his dreams and help find the root of a mysterious figure plaguing him in his nightmares... who, of course, turns out to be Nightmare, the evil lord with dominion over the dimension occupied by people’s dreams. Nightmare is a great idea for a villain—but at the same time, you can see why they chose the more obvious of Strange’s foes for his first movie. Hopefully Stephen gets to have some dreamscape fun whenever Doctor Strange 2 rolls around.